The ATTENTION ASSIST® Mercedes-Benz technology helps to keep drivers safer whether they’re on long road trips or simply driving through Providence. 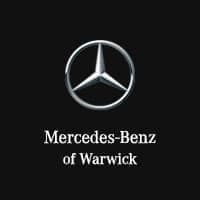 Find out how the ATTENTION ASSIST® “take a break” Mercedes-Benz feature works below, then contact us for a test drive to experience Mercedes-Benz technology in person at Mercedes-Benz of Warwick near East Greenwich. How Does Mercedes-Benz ATTENTION ASSIST® Work? In the first few minutes of a drive, the system uses over 70 parameters to assess your individual driving style. As you continue on your journey, the system detects specific steering corrections which are indicative of the beginning signs of driver fatigue. ATTENTION ASSIST® then considers and accounts for several external factors, including road conditions and crosswinds, as well as how you are interacting with controls, buttons, and switches in the vehicle. If the system assesses all these factors and concludes that you are experiencing drowsiness or driver fatigue, it will sound an alert and suggest stopping for a break. Which Mercedes-Benz Vehicles Offer ATTENTION ASSIST®? The ATTENTION ASSIST® feature is available on most new Mercedes-Benz models, along with many other active safety features like Blind Spot Assist and Lane Keeping Assist. Below are the models that offer ATTENTION ASSIST® to Cranston drivers. Explore other Mercedes-Benz safety features like PRESAFE®, DISTRONIC PLUS®, or technology like the COMAND® infotainment display control system, available in various models at Mercedes-Benz of Warwick. 0 comment(s) so far on What Is Mercedes-Benz ATTENTION ASSIST®?